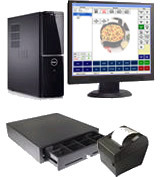 Kydia's Restaurant POS System is installed with features like Caller ID, Direction For Delivery, Table Layout, Credit Card Processing Package, Cost Record, Profit Record, Bar Quick Cash, Bar Remote Monitor, and Time Clock; thus giving you, the restaurant owners, the tools you need to succeed. 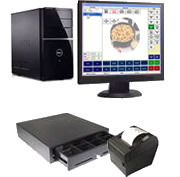 Plus Dell's one year guarantee about next business day on-site service. We can always customize the system to the way you want. 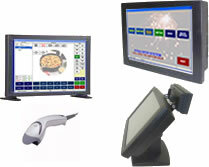 Please give us a call for customized system.